Bored of those same regular activities for your kids? Plan this weekend with some new exciting, energetic activities with KIDZANIA. 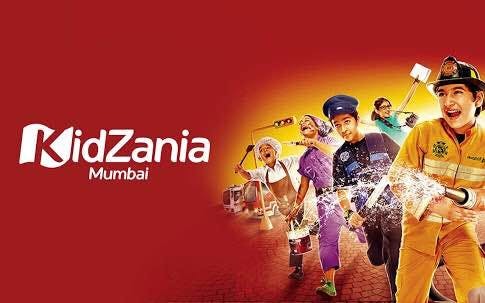 KIDZANIA is a safe, unique, and interactive indoor theme park that inspires and educates kids through real-life role-playing activities. Educate your child with new practical learning experience designed by educationalists to boost your child’s strengths & decision-making skills, problem-solving and creativity. 1) FOR KIDS Role-playing activities: Your child will learn to see dreams and understand the industry by actually doing the role-play activities of a Pilot, Surgeon, Detective, Chef, Engineer, TV Producer, Radio Jockey, and much more from over 100 role-playing activities. 2) FOR ADULTS You can be a customer of your child’s role-playing activities, be a motivator for the child being a dreamer. If you're tired, you have a parents lounge to relax with a cup of coffee and watch your kids play and enjoy the fun activities. After your kid is done playing, its time for some fuel. They have a food section with various food options from Love-n-Latte, Zebra crossing, Paninaro, Mumbai Salsa, and Hardys.